Size: approx. 20 mm. Photo: 05/12/15, 10 pm. 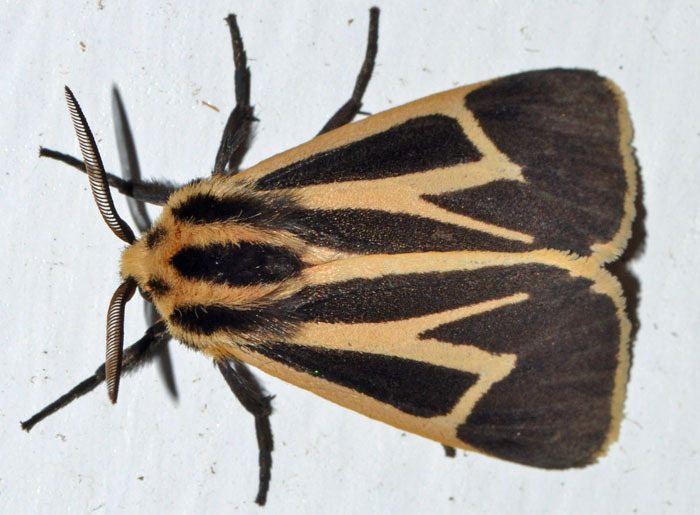 A tiger moth in the genus Apantesis. The identification to the species level is difficult and seems to require dissection. It surprised me to read that it is not known whether adults feed.